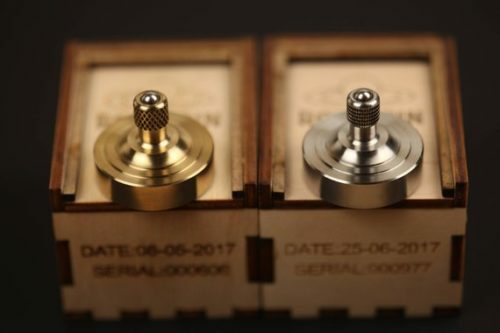 When you think of bronze, it is likely that you think of something that is strong and long-lasting. Your husband is both of those things. 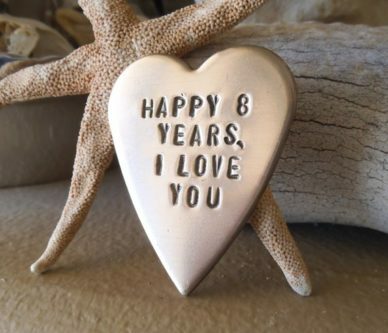 You are about to celebrate your 19th wedding anniversary together and the modern gift is bronze. 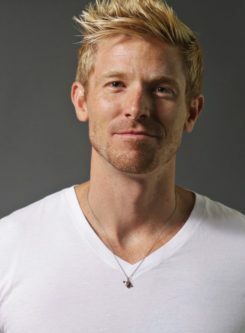 Check out these awesome gift ideas for him this year. 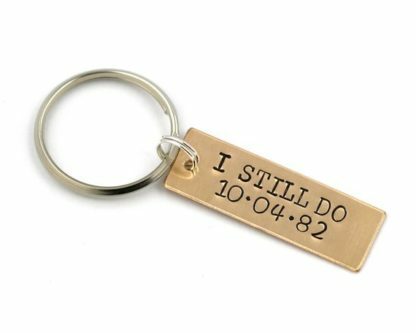 You both still do, and now he will have a little bit of a harder time forgetting when your anniversary is, because it will be right here on his keychain. 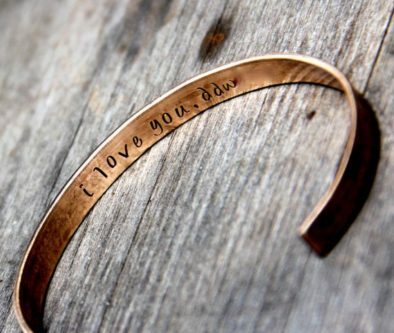 The hand stamped bronze cuff bracelet is simple and unassuming, but still fun at the same time. 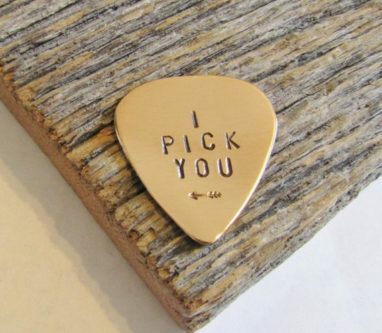 He picks you, and you pick him. No doubt about it. If he has the heart of a hunter, he will especially appreciate “the heart of the hunter” bronze necklace. 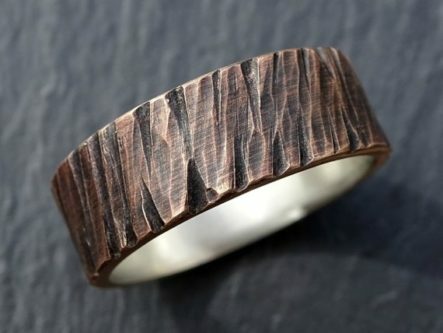 Your husband is rugged and handsome, which means he definitely needs a rugged bronze ring to wear. 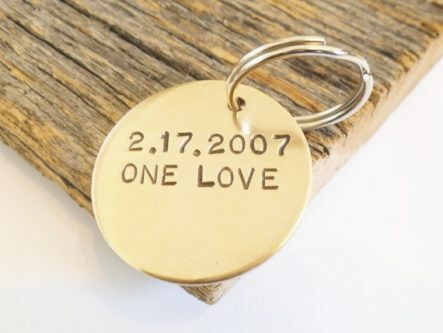 The customizable heart-shaped bronze wallet insert doesn’t have to include the 8th anniversary part that is shown in picture, you can customize it to say what you want it to and he will be able to carry it in his wallet wherever he goes. 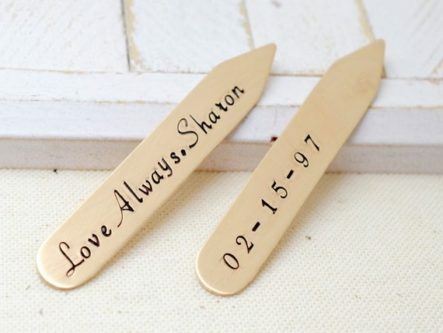 These personalized bronze collar stays are a great way to say “I love you” and keep his shirt collar in check. 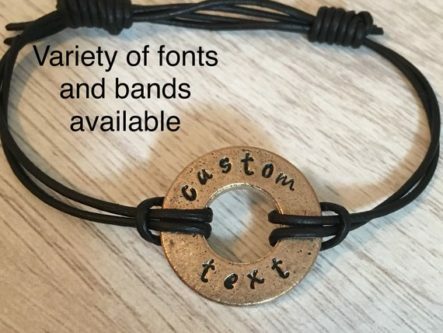 You can customize the bronze washer on this bracelet with a short and sweet message for him. 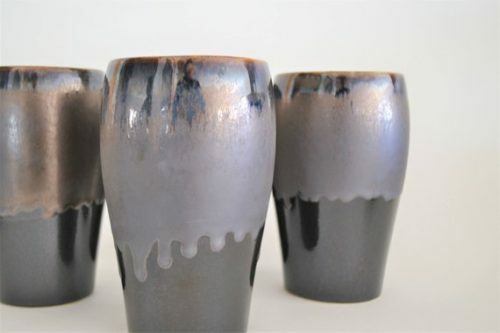 Keep his beer drinking interesting with these bronze pottery beer steins. You are two people who share “one love,” since long before your wedding 19 years ago. 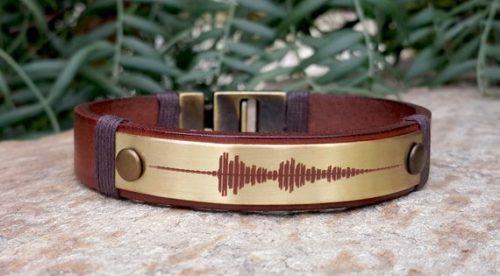 Your husband can take the soundwave of your voice with him wherever he goes, with the leather bracelet and bronze soundwave piece. 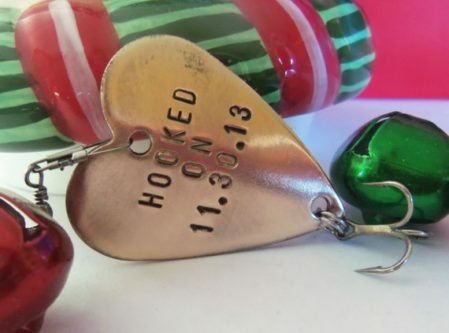 For the husband who loves fishing, a bronze personalized fishing lure is a great gift. 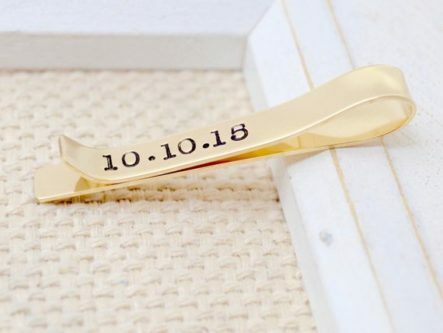 Help him keep his tie in the right place with his very own personalized bronze tie clip! 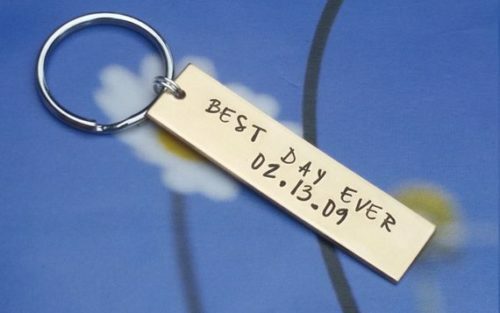 Your wedding was your “best day ever,” or maybe it just passed by in a whirlwind. In the past 19 years, there have been many “best days ever,” and your best days together are yet to come. 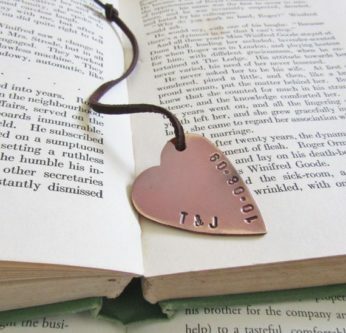 For the bookworm husband, a heart-shaped bronze personalized bookmark will help him keep his place in his books as he reads through them. A rope design is both simple and masculine. While these may not be useful, they are great pieces of decor. 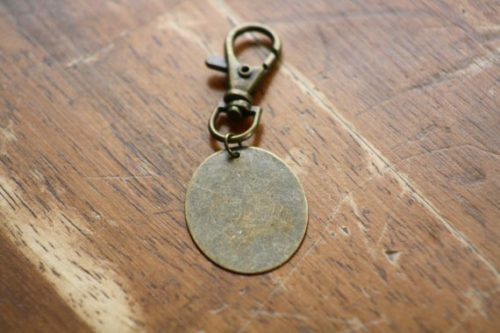 Made from antique bronze, this keychain can be customized to you and your husband’s tastes. 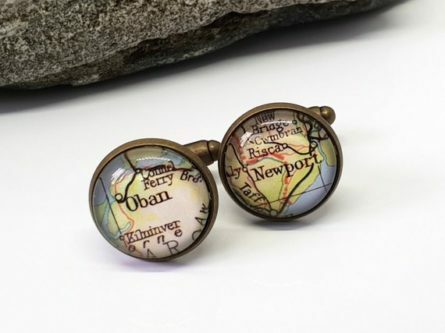 Use any location on these great bronze map cufflinks, such as the location you met, got married, your first date, or wherever means something to you. 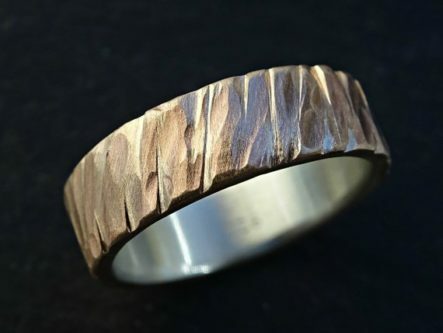 This carved bronze ring is a great addition to his current wedding ring, or a replacement for it if needed. Your 19th wedding anniversary is nothing to gawk at. You have spent 19 beautiful years together, some harder than others. 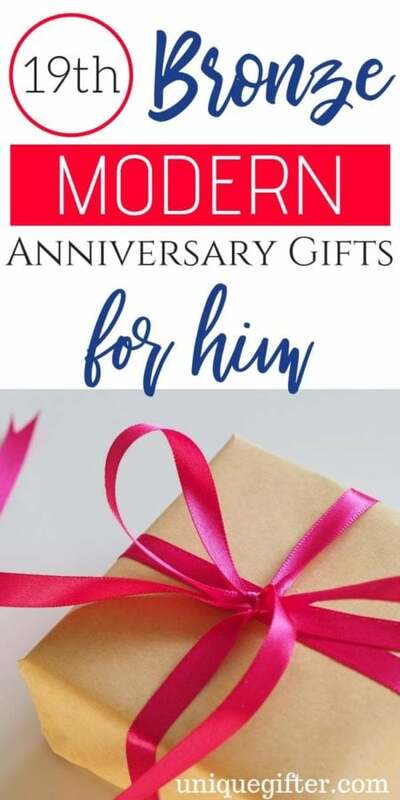 A nice gift for him is a great way to celebrate your anniversary!